Campers in each division benefit from a wide range of programs and activities that interest them while keeping them engaged and encouraging them to try new things. 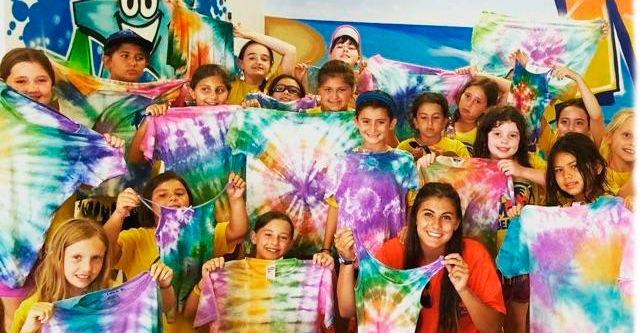 All activities are tailored to be age appropriate and flexible to serve the needs of each child, and daily schedules are planned with the campers age in mind. Schedules for all divisions are carefully created to ensure the day is well balanced with outdoor and indoor activities. As the campers move on to a higher division they will encounter new activities and challenges as well as have more free choice with activity selection. Whether your child is a “non-swimmer,” beginner, or a fish in the water, our swimming program is the perfect fit. Campers swim twice a day and love cooling off in one of our four beautiful pools. During instructional swim periods, our trained WSI lifeguard staff work closely with each child to help improve their water skills. You are sure to see a huge difference in your child’s swimming ability! Camp Malibu offers a variety of sports for campers of all ages. Campers will develop skills, game strategies, techniques and learn the fundamentals of different sports while focusing on team work and sportsmanship through friendly competition. We challenge the children at every level of interest and ability and focus on self confidence and competitive spirit. Some of the camper’s favorite sports include Basketball, Soccer, Tennis, European Handball, Kickball, and Gaga! Every Malibu Camper has a chance to show off their talents and add to them throughout the summer. Whether through arts and crafts, dance, music or theatre, each child develops their strengths and discovers talents that they never knew existed. 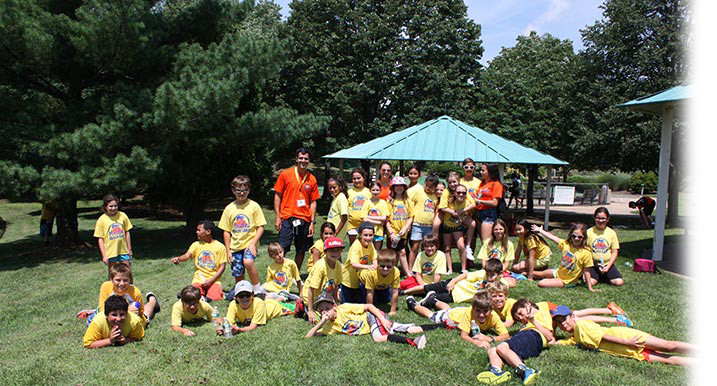 Our experienced staff work side by side with the campers to help encourage them to explore their creative side. Known as “Malibu’s Got Talent,” our annual talent show gives all campers a chance to shine! 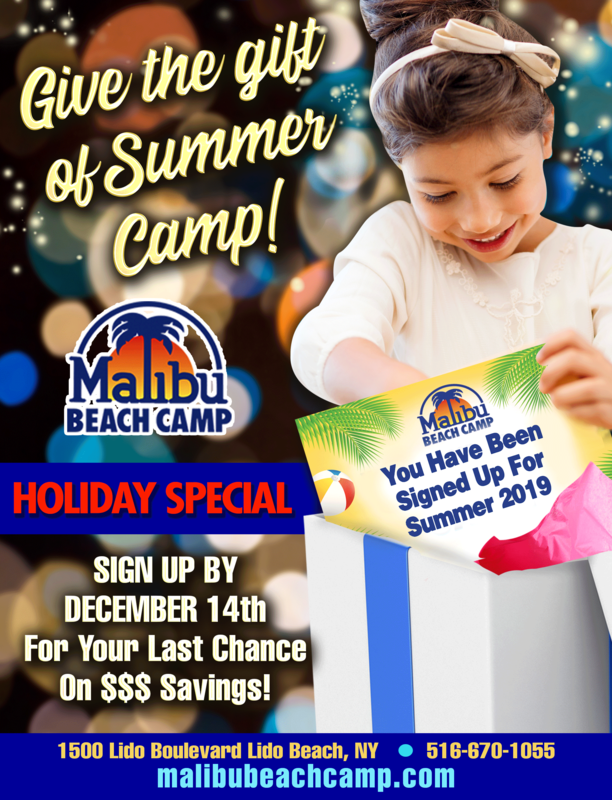 Special Event Days at Malibu Beach Camp are an absolute favorite. They help to make each day unique and add more fun and excitement to an already spectacular summer. Just to name a few, Messy Monday, Hot Halloween, Parent Late Nights and the end of the season Carnival are always top of the list. Check our event calendar for this summer’s special events! Trips are offered to our campers in the Sailors Division (Grades 4 and up.) Each grade will have the opportunity to attend three trips during the summer at an additional cost. If campers choose not to go on the optional trip, the will remain at camp and have regular camp day activities. “Let’s Go Blue, Lets Go Gold” may be phrases you often hear changed during the last few days of camp. Color War… by far the most eagerly anticipated days of the summer! These action packed, camp spirited days of all sorts of wacky competitions gives everyone a chance to shine both on and off the athletic fields. Let the competition begin!